I spent the last few months with Richard Hamasaki recording and mixing an album of amplified poetry by Craig Santos Perez and Nālani Brandy McDougall. The first online store to have it up was Appleʻs iTunes Store which took all of a day from my sending it to them putting it up on the web. Undercurrent presents poems by Pacific poets Brandy Nālani McDougall (Hawai‘i) and Craig Santos Perez (Guahan) from their poetry collections The Salt-Wind, Ka Makani Paʻakai (2008) by McDougall, and from unincorporated territory [hacha] (2008) and [saina] (2010) by Perez. Through their work, McDougall and Perez address issues of colonialism, militarism, and tourism in their home islands. Hawai’i was illegally annexed by the U.S. in 1898, and later became the 50th state. Guam was ceded to the U.S. after the Spanish-American War of 1898 and remains an unincorporated territory to this day. The U.S. military occupies and degrades massive amounts of land on Hawai’i and Guahan, and global tourism holds their economies hostage. Despite this traumatic history, both poets also fiercely celebrate their native cultures, stories, and languages—mapping their genealogies and honoring their ancestors. For them, poetry is the undercurrent of a shared struggle for a decolonized Pacific. 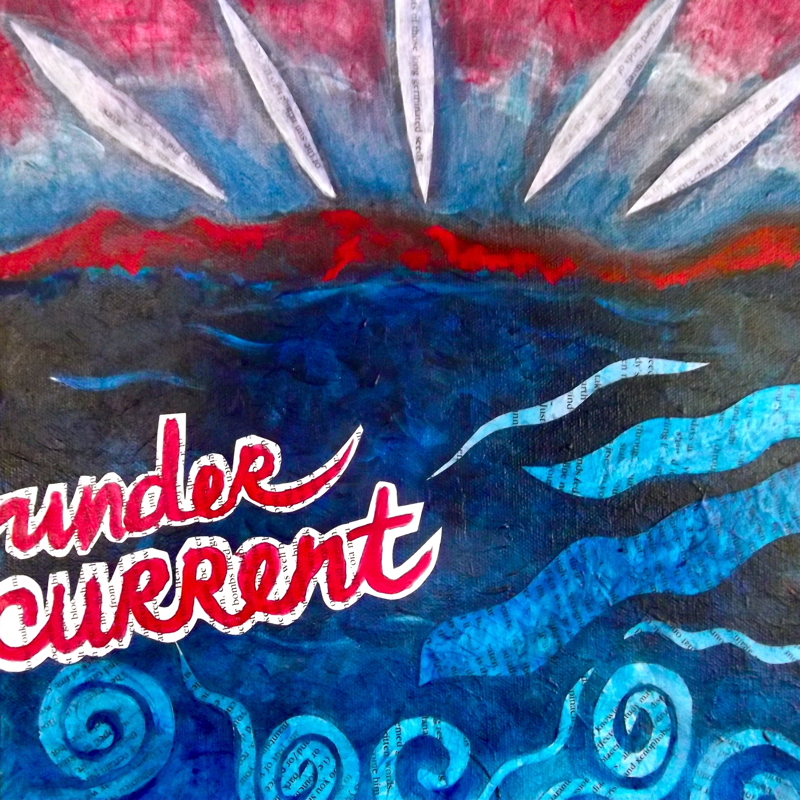 Undercurrent is the fourth album of amplified poetry by producers Richard Hamasaki and H. Doug Matsuoka. Amplified poetry is a form born from the dub poetry exemplified by Lee Scratch Perry, Adrian Sherwood, Asian Dub Foundation, Linton Kwesi Johnson, the late Gil Scott-Heron, and so many others. It takes a step beyond by treating the voice and text as worthy objects of sound engineering. redflea’s unapologetically esoteric virtual fleality (1996) is an exemplar of this form. Joe Balaz’s Electric Laulau (1998) and Teresia Teaiwa’s and Sia Figiel’s Terenesia (2000) dispensed entirely with instrumental obbligato on some tracks. Undercurrent emerges as the essence of amplified poetry, now a form where the voice/text is the sole object of attention. Here amplified poetry arranges sound and voice the way concrete poetry arranges ink and image to reveal deeper layers of meaning in a poem’s words. Although some tracks may call to mind the polyphony of western musical counterpoint, the tracks are very much open works, each an opening or aperture to new vistas and possibilities. Born and raised on Maui, Brandy Nālani McDougall, is of Kanaka Maoli (Hawaiʻi, Maui, Oʻahu and Kauaʻi lineages), Chinese and Scottish descent. She is the author of a poetry collection, The Salt-Wind, Ka Makani Paʻakai (2008) and a chapbook, “Return to the Kula House,” featured in Effigies: An Anthology of New Indigenous Writing, edited by Allison Hedge Coke (2009). She is a co-founder of Ala Press and Kahuaomānoa Press. She is an Assistant Professor of Indigenous Studies in the American Studies Department at the University of Hawaiʻi at Mānoa. 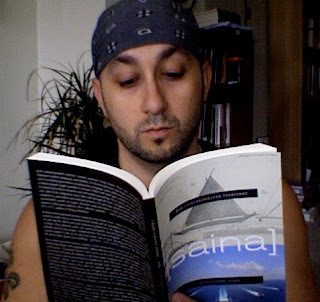 Craig Santos Perez is a co-founder of Ala Press, editor of the anthology Chamoru Childhood (2009), and the author of two poetry books: from unincorporated territory [hacha] (Tinfish Press, 2008) and from unincorporated territory [saina] (Omnidawn Publishing, 2010), a finalist for the Los Angeles Times Book Prize in Poetry. He teaches creative writing and Pacific literature in the English Department at the University of Hawaiʻi, at Mānoa. Richard Hamasaki has collaborated with poets, musicians, artists, writers, and teachers from Hawaii and across the Pacific, and the U.S. continent on amplified poetry and spoken word recordings and books. He continues to produce literary events and performances in Hawaiʻi. In 2009, he co-edited with Mei-Li Siy, Westlake, Poems by Wayne Kaumualii Westlake (1947–1984) published by the University of Hawaiʻi Press. In 2001, the University of Hawaiʻi Press published his collection of poetry, From the Spider Bone Diaries: Poems and Songs. The first edition, was published in 2000 by Kalamakū Press. H. Doug Matsuoka is a musician, writer, and technologist based in Honolulu. He was born in Hilo on the island of Hawaii where his grandfather from Japan came to work on the sugar plantation. 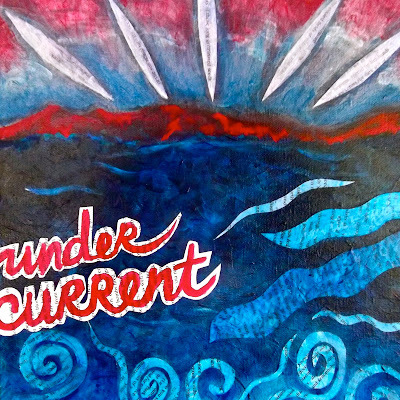 Undercurrent is his fifth Hawaii Dub Machine project. Follow @hdoug on Twitter.